Comic Books at the State Library?!?! 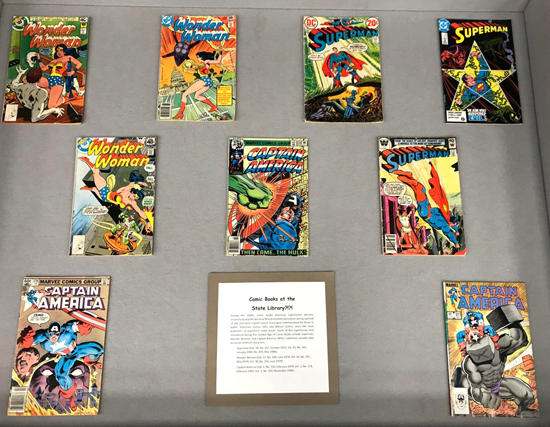 The New York State Library's June exhibit focused on comic books, with a special "pop-up exhibit" in the last week that featured Luke Cage, the first black superhero to star in his own series. 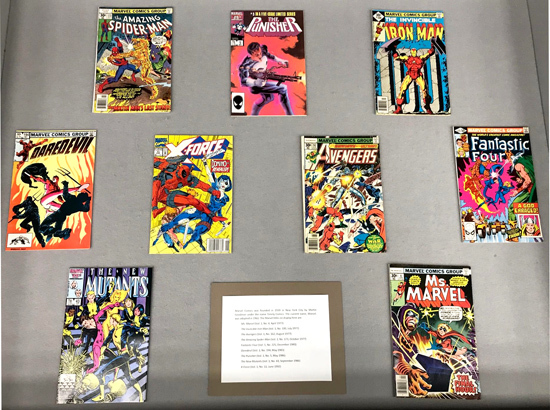 Comics are probably not the first thing that comes to mind when you think of the State Library collections, but the holdings in Manuscripts and Special Collections are many and varied, with contemporary as well as historical items that reflect New York's and America's cultural landscape -- including comic books! 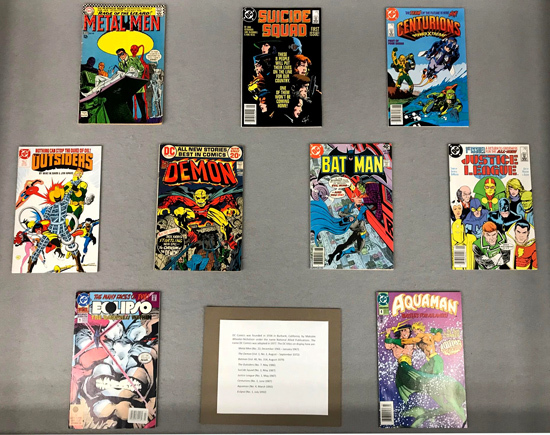 Our Comic Book Collection (SC23377) was originally compiled by Adam C. Siegfried (son of Clifford Siegfried, former director of New York State Museum). First donated to the State Museum, the collection was transferred to the Manuscripts and Special Collections unit of the State Library in 2010. 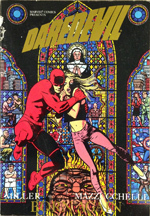 The collection consists chiefly of superhero comic books but also includes some detective and western titles. 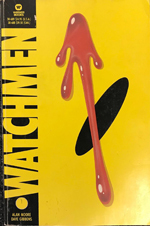 Most of the works in the collection were published by DC Comics and Marvel Comics, the two major publishers of comic books, dating mainly from 1977-1987. 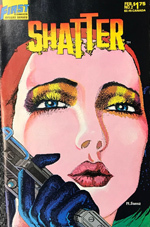 This collection also includes a small series of graphic novels. 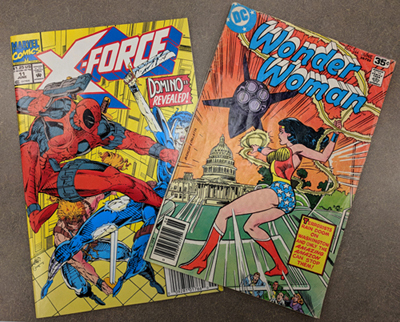 Although DC and Marvel have dominated the comic book publishing industry for decades, smaller imprints have existed alongside them. Here is a selection of titles from NYSL's collection that do not bear the DC or Marvel imprint. While both comic books and graphic novels pair text with illustrations to tell a story, the two forms have a crucial difference. Comic books are by nature short; each issue is part of a serialized story told over the course of months and sometimes years. 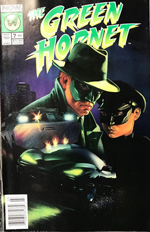 Graphic novels tell a story from start to finish so are by nature longer and more complex, allowing for greater character development and more intricate plotting.